Going into the holiday season, I am ALL about online shopping and automation. 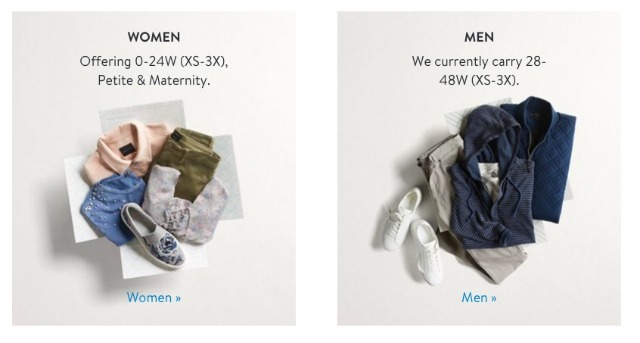 As many of you know, I have been a long-time user of Stitch Fix, which is a styling service geared toward busy men and women. Because I have loved them for so long, particularly during my crazy busy book launch, I decided to create a special offer just for my readers. 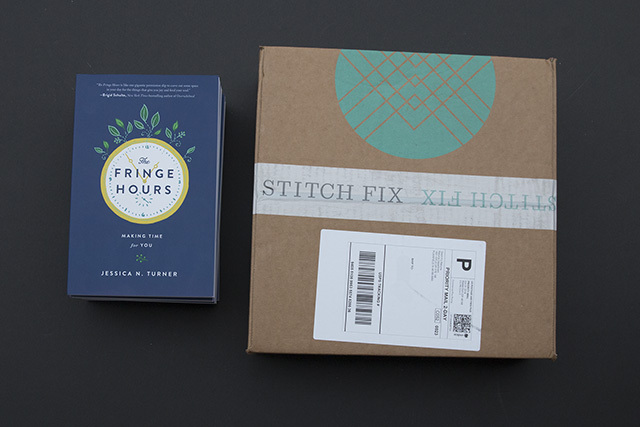 And, if you have tried Stitch Fix, sign up your husband and get the same freebies. I did a poll on Instagram and 97% said their spouses had never tried Stitch Fix. Stitch Fix offers a wide range of sizes for nearly any body type. This offer is only good for Stitch Fix customers in the United States. Stitch Fix is PERFECT to use as we go into the holiday season. Think family gatherings, work events, family photos, whatever. It is so fun to get clothes that aren’t from a big box store and that are personally selected for you and your body. I also love how much time it saves me by not having to shop for myself. 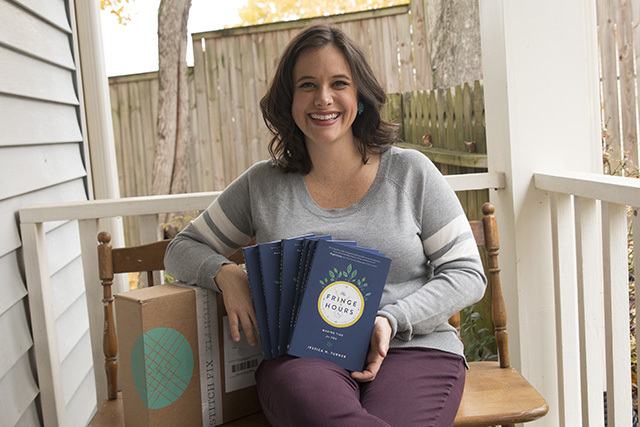 Moreover, the free signed copy of The Fringe Hours is a wonderful gift for yourself or a meaningful gift for a loved one, especially because every copy will be signed and personalized. 2. Take the brief style quiz: This quiz will include your sizes for pants, shirts, etc., and your style preferences. You will be assigned a personal stylist with Stitch Fix who will handpick clothes for you, so it is important to be honest about your style preferences. This will take you about 5 minutes. 3. Enter your budget: Stitch Fix offers clothes and accessories in a wide range of prices. I have found their clothes to be great quality. 4. Fill out your address & credit card info: You will need to include your credit card in case you decide to keep an item of clothing. Stitch Fix charges a $20 styling fee, but it is applied to anything that you keep. 5. Schedule your fix: You are literally scheduling ONE box. This is not a subscription service and you are never obligated to receive boxes. I schedule all my boxes on demand. 7. Yay! You have signed up for your first fix. 8. Get your free copy of The Fringe Hours: Click here and enter your info of where I can send you a free copy of my book The Fringe Hours: Making Time for You. I hope you love Stitch Fix as much as I do! Remember, this offer is good only while my book stash lasts, so sign up right away.